Richard Hamilton was interviewed by Tatiana Wilde for IB Tauris about The Last Storytellers and answered a few questions about Morocco’s storytelling tradition. 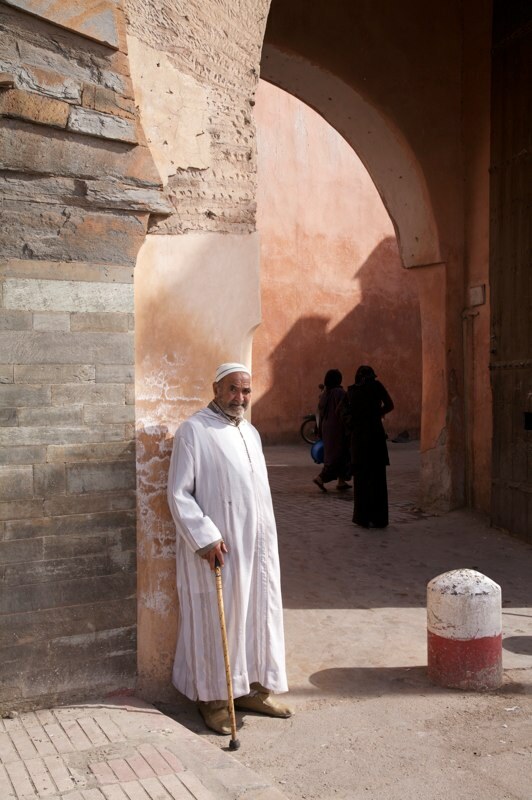 What sparked your interest in the storytellers of Marrakech? When I was the BBC correspondent in Morocco I was fascinated by this centuries old tradition whereby people would sit down for a few hours and pay (a token amount) to listen to a story. It seemed to me to be the complete antithesis to modern life. It was also a sense of urgency that drove me to record these oral tales for posterity, seeing that the tradition was dying out and they had not been recorded. Can you explain the tradition of storytelling in Morocco? In Marrakech, it is something that goes back at least to the founding of the city in the eleventh century, although in Morocco generally storytelling was common among Berber communities hundreds of years before that. In a country where illiteracy was (and still is) widespread, the storyteller provided an important means of communication, telling people what was going on in different parts of the country. They also provided a form of escapism and entertainment to people whose lives were often quite hard. Why is it threatened with extinction and why is this oral tradition so important – not just for Morocco, but for the rest of the world? Tragically modern technology – such as DVDs and the internet – means that the audience has dwindled, attention spans have shortened and the storytellers, who are all old men with no young apprentices, are literally dying out. I believe that the world would be a more impoverished place if this wonderful tradition dies out. It would not just be Morocco’s loss. In the same way, if for example the panda or tiger became extinct it would be a loss to the whole world not just China or India. So I think we are seeing part of the world’s cultural diversity being eroded by a type of modern monoculture. Why is Marrakech the heartland of oral storytelling and what role does the square of Djemaa el Fna play? Marrakech has always been a cross roads – for people travelling to and from north and sub-Saharan Africa as well as from west to east. Its centre as a point on the trans Saharan trade route meant that it has been a melting pot for different people. I think this is what makes Marrakech the life blood of the oral tradition. Storytelling did exist in other cities such as Fes and Tangier but was not so enduring and was not on such a big scale. The Djemaa el Fna is both a sacred space and a dynamic place for outlandish entertainment and there is nothing quite like it anywhere else in the world. That is why UNESCO has recognised it as a world heritage site and the activities in the square part of the world’s intangible heritage. How hard was it to track down the true, traditional storytellers of Marrakech? Almost all of the storytellers have retired, so with the help of a local guide, word of mouth and endless patience, we set about asking people if they knew where these men lived. In some cases it was harder than others. One of the storytellers is blind and extremely frail and is being looked after by his daughter in a neglected quarter of the medina, while another has a serious heart condition and had almost disappeared without trace. Can you briefly describe the first time you heard a story being recited – who was telling the tale, the effect it had on you? I sat down with a small intimate crowd in the Djemaa el Fna to listen to Moulay Mohamed, who was one of the most respected storytellers, while he was still performing in the square. I conducted an interview with him for the BBC in December 2006. It was my first encounter with a storyteller and I was completely swept away by the experience. It was as if I had been transported back to the time of the Arabian Nights. I had no idea then that I would end up writing a book about the tradition. Why should we be interested in these tales? Do they resonate with people who aren’t Moroccan? I think the stories deal with universal themes such as overcoming adversity, family loyalty and integrity so they will have resonance with everyone. They also make for perfect summer reading – not just for people who want to visit Morocco – because they provide a bit of fantasy and escape into a completely different world. As many of the stories are very short, they are also perfect to dip in and out of – say if you were on a train or by the hotel pool..